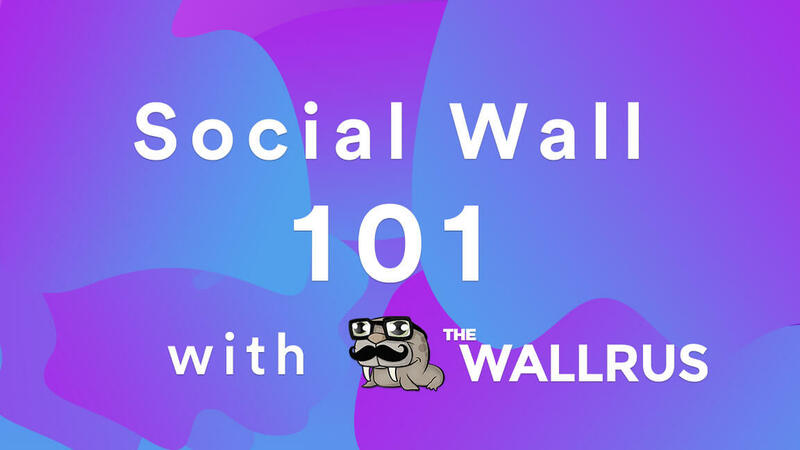 The most common question we get on the chat is “What is a social wall?”. We figured rather than simply using words to explain the greatness of the technology, we decided to go ahead and create an infographic that lays down the basics of a social wall: what is it, what it does, who it is for. Read along if you’re curious about what the The Wallrus can do for you. Is a social wall right for you? If that infographic left you craving to learn more about the many possibilities that are offered by our social wall – send us a message or hit us up in our chat box. Our team will be pleased to answer all of your questions and guide you through the process of creating a wall. Whether it’s for a small scale event, a large production, a trade show, a concert, a talk or any other creative ideas you have brewing in your mind – The Wallrus has your back!